JINXIN Hong Kong Hardware Products Ltd., is one of the producers handrail prestigious products mainly for export. The term exhibitions at home and abroad, we are focused on display advertising brand image of the business identified. 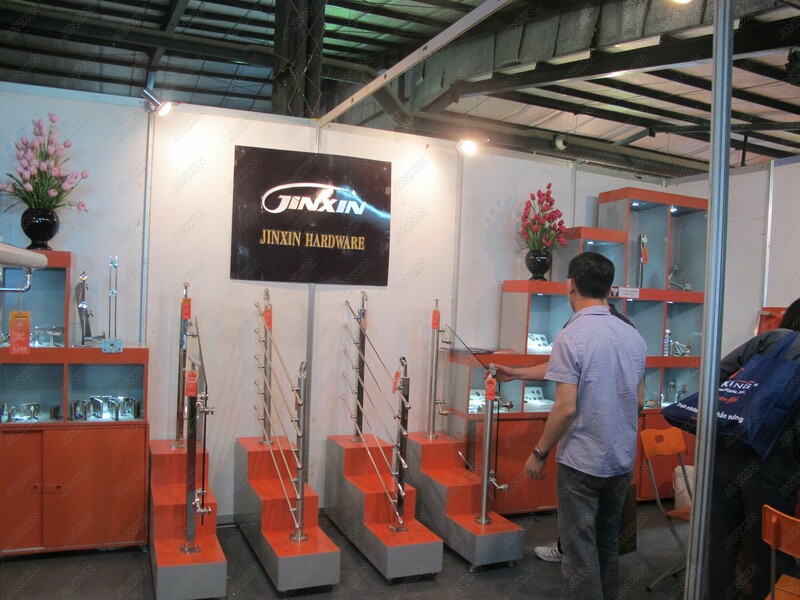 This exhibition JINXIN pleased to receive the attention of major clients, prestigious units in the country. Some store in Hanoi and some other localities have expressed concerns and aspirations of the product distribution JINXIN. The company's booth attracted many customers to visit and learn about the product. Photo 4: Costumer learn about the product. Next��The High developed growing JINXIN Hardware Ltd.